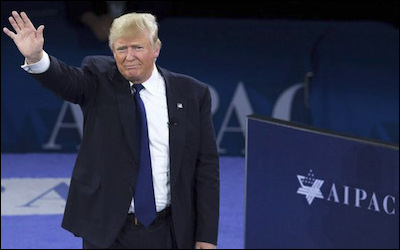 "When I become president, the days of treating Israel like a second-class citizen will end on day one," Donald Trump declared in a May 2016 speech at AIPAC. In late December, with just weeks left in his administration, former U.S. President Barack Obama delivered a shot in the arm to the anti-Israel Boycott, Divestment, and Sanctions movement, or BDS. Obama instructed the U.S. ambassador to the United Nations, Samantha Power, to abstain instead of vetoing a U.N. Security Council resolution rebuking Israeli settlement activity. The BDS movement seeks to brand the only democratic U.S. ally in the Mideast as a pariah state. There are several policies that the Trump administration can pursue to retard the growth of BDS. First, the president should push for rapid passage and enactment of the Combating BDS Act of 2016. The bipartisan legislation would permit state and local governments to penalize companies participating in BDS by pulling taxpayer money from those businesses. Second, Trump can declare BDS an anti-Semitic movement that runs counter to all peace efforts. Lawmakers should push through Congress the Anti-Semitism Awareness Act, introduced by Sens. Tim Scott (R-SC) and Bob Casey (D-PA). This legislation would give the U.S. Department of Education the statutory tools to identify, investigate, and punish all forms of anti-Semitism, including anti-Zionism and anti-Israel harassment in the broadest and most effective way possible. The Anti-Semitism Awareness Act mirror's the State Department's Special Envoy to Monitor and Combat Anti-Semitism definition of anti-Semitism that includes the critical language covering where anti-Israel conduct crosses the line into prejudice and discrimination. 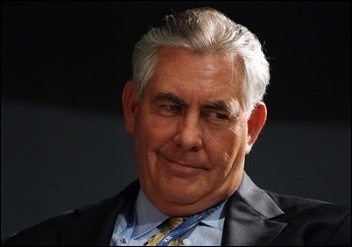 Secretary of State Rex Tillerson: Countries that cooperate with the BDS movement "need to understand that it does shape our view of them." Finally, U.S. ambassadors in countries where BDS is flourishing -- such as Ireland, the United Kingdom, Sweden, Norway, Denmark, and Belgium -- should deliver speeches in those countries condemning the movement. Moreover, the ambassadors should advocate that the European Union replicate anti-BDS legislation. France's anti-discrimination statute -- the Lellouche Law -- has been invoked to stop BDS activism based on its discrimination against national origin. The Lellouche Law can serve as a model for Brussels.